This Owl pendant necklace is handmade by Mikal Winn. 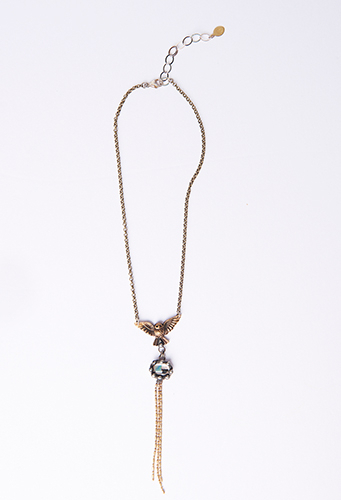 Sculpted owl pendant, inset crystal piece, welded brass and chain. 16"-17.5" adjustable chain with clasp.